Dubbed “Circus,” it’s made in New Zealand, and is on view at a New York pop-up space through the end of the month. If you find yourself walking around New York’s NoLita neighborhood before the end of the month, chances are you’ll be stopped in your tracks by the sight of a ginormous chain of glowing, interlocking gold-toned rings. They’re hanging in the window at 39 Spring Street, a 3,000-square-foot gallery that Resident Studio, a furniture and lighting firm from New Zealand, has taken over to present its first independent show in the city. 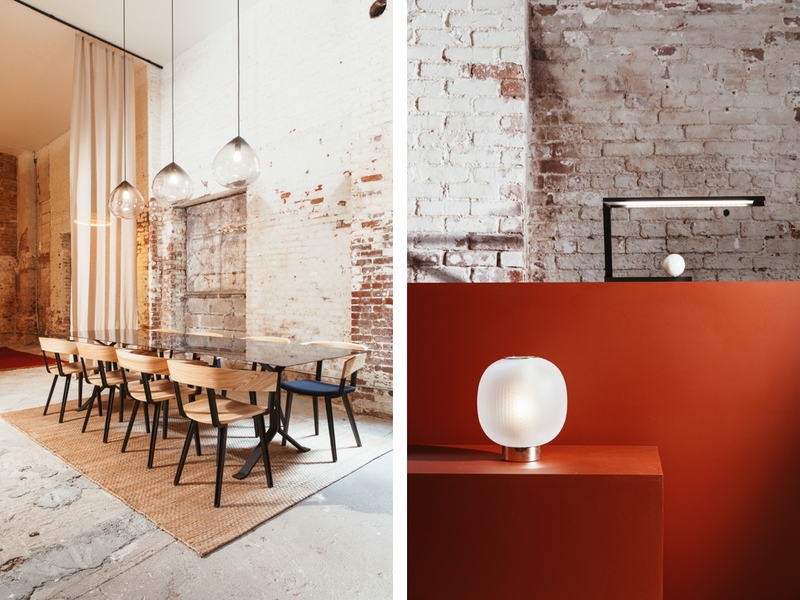 Inside, pieces from Resident’s latest collection fill an industrial yet inviting environment designed by Kiwi interior architect Rufus Knight. 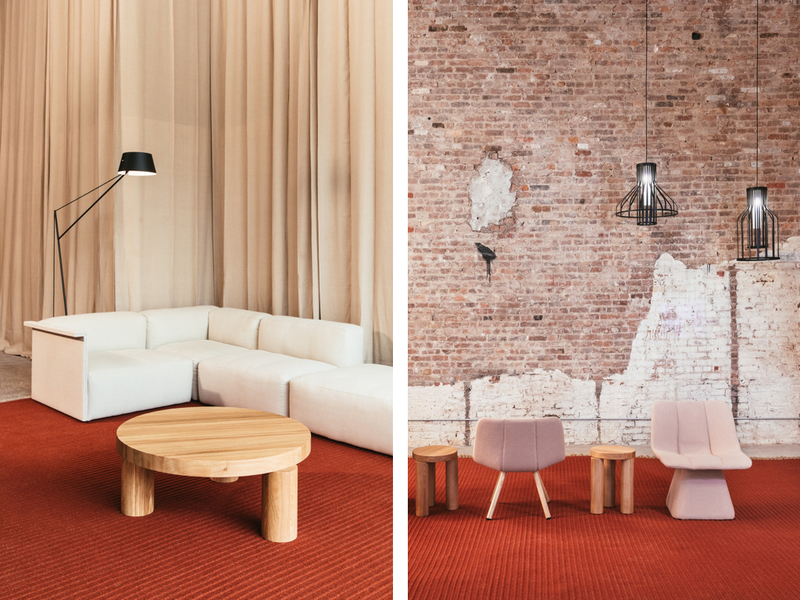 Among marshmallow-pink chairs and spare, thick-legged oak tables, the most delightful object on view reinterprets that sequence of circles from the window in the form of a floor lamp. 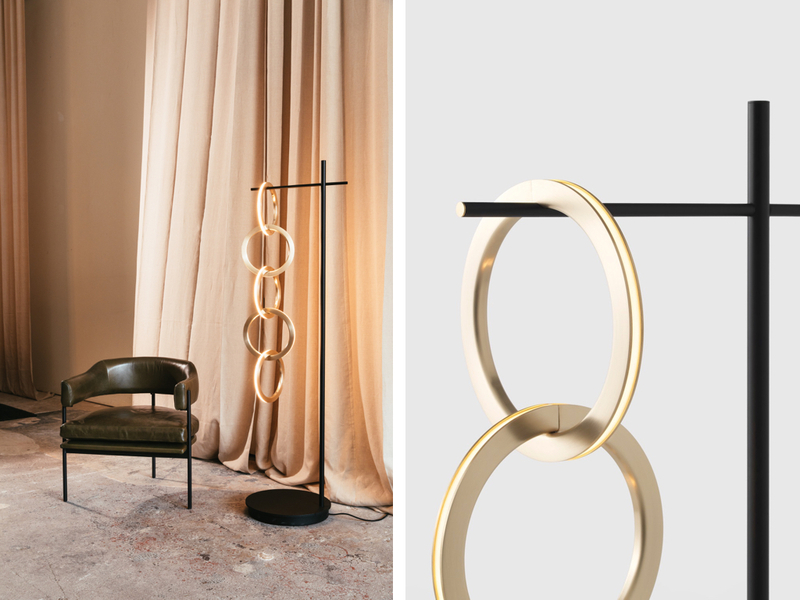 Its five brushed-brass hoops are laced with LEDs that emit a warm, diffused glow on a 360-degree plane and that dangle from a matte black frame like bling on a jewelry stand. 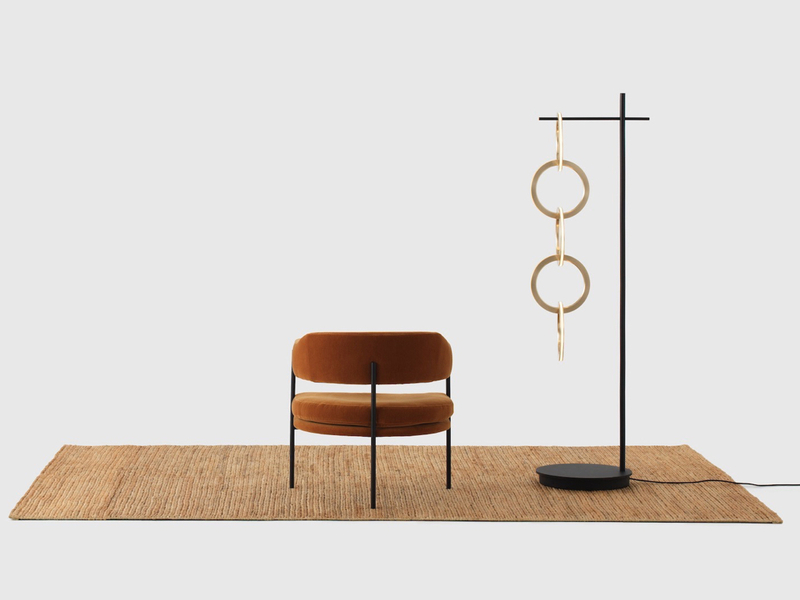 Its name, Circus, suggests a bit of magic, as does its switch: Simply touch the tip of the bar holding the rings, and the fixture springs to life.